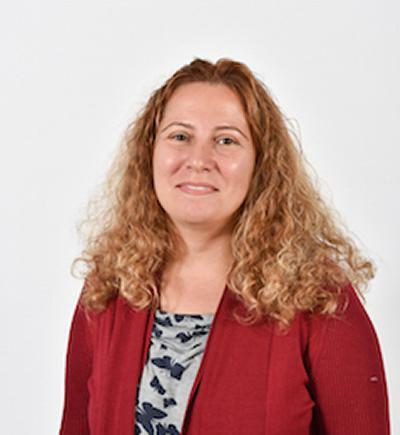 Professor Mine Karatas-Ozkan is Associate Dean (Research) within Southampton Business School at the University of Southampton. Mine Karatas-Ozkan is a Professor of Strategy and Entrepreneurship and Associate Dean for Research for the Faculty. Her research focuses on social and diversity dimensions of entrepreneurship. She has published several books and articles in these areas. Knowledge work/Knowledge workers (Links with digital economy): Mobility and career development of knowledge workers; triple helix of university-industry-government relationships). Karatas-Ozkan, M. (2009) Entrepreneurial leadership for sustainable growth of high-technology companies in the UK and India, Internationalization Fund, University of Southampton. Karatas-Ozkan, M. (2009) Corporate Social Responsibility and Corporate Community Involvement in Developed and developing Economies, Pump-priming fund, School of Management, University of Southampton. Karatas-Ozkan, M.; Halford, S. and Taylor, J. (2009) LASS (Law, Arts and social Sciences Faculty of University of Southampton) Research Seminar Series entitled 'Knowledge workers: Identities and power in organisations in the age of the digital economy. Karatas-Ozkan, M. (2009) Triple helix of academy-industry-government relationships in developed and developing economies, Pump-priming fund, School of Management, University of Southampton. Karatas-Ozkan, M., Taylor, J. and Nouman, M. (2009) Triple helix of academy-industry-government relationships in developed and developing economies, Pump-priming fund, School of Management, University of Southampton. Karatas-Ozkan, M. and Manville, G. (2009) HEEG SEEDA (Higher Education Entrepreneurship Group, South East England Development Agency) Nurturing social enterprise: growth and sustainability. Chell, E. and Karatas-Ozkan, M. (2004) Women's involvement in technology transfer activities from physics and engineering departments within the UK universities, Institute of Physics, London. Chell, E., Nicolopoulou, K. and Karatas-Ozkan, M. (2005) Collaboration and leadership in entrepreneurial universities, HEIF 2 SET Squared Partnership Research Project, funded by the SET Squared Partnership, University of Southampton, University of Bath, University of Surrey and University of Bristol. Ertuna, B., Karatas-Ozkan, M., & Yamak, S. (Accepted/In press). Diffusion of sustainability and CSR discourse in hospitality industry: dynamics of local context. International Journal of Contemporary Hospitality Management. Nicolopoulou, K., Karatas-Ozkan, M., & Vas, C. (2015). An incubation perspective on social innovation: The London Hub as a social incubator. R&D Management. Ojiako, U., Chipulu, M., Karatas-Ozkan, M., Siao, M., & Maguire, S. (Accepted/In press). Intelligence management opportunities for SMEs. Journal of Small Business and Enterprise Development. Karatas-Ozkan, M., Erdogan, A., & Nicolopoulou, K. (2011). Women in Turkish family businesses: drivers, contributions and challenges. International Journal of Cross Cultural Management, 11(2), 203-219. Tanova, C., Karatas-Ozkan, M., & Inal, G. (2008). The process of choosing a management career: evaluation of gender and contextual dynamics in a comparative study of six countries: Hungary, Israel, North Cyprus, Turkey, UK and USA. Career Development International, 13(4), 291-305. Inal, G., & Forson, C. (2007). Editorial introduction. Women’s entrepreneurship: multi-disciplinary perspectives. Kadin/Woman 2000: Journal for Woman Studies, 8(1). Nicolopoulou, K., Karatas-Ozkan, M., & Tatli, A. (2007). Guest editorial. Global knowledge work and workers: new directions from diversity and equality perspectives (In special issue: Global Knowledge Workers). Equal Opportunities International, 26(8), 738-743. Chell, E., Karatas-Özkan, M., & Nicolopoulou, K. (2007). Social entrepreneurship education: policy, core themes and developmental competencies. International Journal of Entrepreneurship Education, 5. Karatas-Ozkan, M., Murphy, W. D., & Rae, D. (2005). University incubators in the UK. The International Journal of Entrepreneurship and Innovation, 6(1), 401-421. Karatas-Ozkan, M. (2004). Book Review: 'Changing conversations in organisations: A complexity approach to change' by P. Shaw. Career Development International, 9(1), 89-94. Karatas-Özkan, M. (2003). Book review. The economics of women and work in the Middle-East and North Africa. Career Development International, 8(2), 109-116. Karatas-Ozkan, M., & Murphy, W. (2002). Emerging approaches to organisational analysis: a social constructionist perspective to entrepreneurial learning. Management Research News, 25(8/9), 93-98. Karatas-Özkan, M., Nicolopoulou, K., & Özbilgin, M. (Eds.) (2014). Corporate social responsibility and human resource management: a diversity perspective. Cheltenham, GB: Edward Elgar Publications. Chell, E., & Karatas-Özkan, M. (Eds.) (2014). Handbook of research on small business and entrepreneurship. Cheltenham, GB: Edward Elgar Publications. Karatas-Ozkan, M., Nicolopoulou, K., & Ozbilgin, M. (Accepted/In press). Corporate social responsibility and human resource management: diversity perspective. Cheltenham, GB: Edward Elgar Publishing. Karatas-Ozkan, M., & Chell, E. (Accepted/In press). Handbook of research in small business and entrepreneurship. Cheltenham, GB: Edward Elgar. Nicolopoulou, K., Karatas-Ozkan, M., Tatli, A., & Taylor, J. (2011). Global Knowledge Workers: Diversity and Relationality Perspectives. Cheltenham, GB: Edward Elgar Publishing. Karatas-Ozkan, M., & Chell, E. (2010). Nascent entrepreneurship and learning. Cheltenham, GB: Edward Elgar. Baines, L., Grinevich, V., & Karatas-Ozkan, M. (2019). Digitalisation and the role of the board. In J. Gabrielsson, W. Khlif, & S. Yamak (Eds. ), Research Handbook on Boards of Directors Edward Elgar. Tatli, A., Özbilgin, M. F., Jonsen, K., Karatas-Özkan, M., Ameshi, K., Atewologun, A., ... Nicolopoulou, K. (2014). Reciprocity as a way forward for diversity management and CSR research. In M. Karatas-Özkan, K. Nicolopoulou, & M. F. Özbilgin (Eds. ), Corporate Social Responsibility and Human Resource Management: A Diversity Perspective (pp. 10-30). Cheltenham, GB: Edward Elgar Publications. Karatas-Özkan, M., Yavuz, C., & Howells, J. (2014). Theorising entrepreneurship? An institutional theory perspective. In E. Chell, & M. Karatas-Özkan (Eds. ), Handbook of Research on Small Business and Entrepreneurship (pp. 70-82). Cheltenham, GB: Edward Elgar Publications. Yavuz, C., Karatas-Ozkan, M., & Howells, J. (Accepted/In press). Institutional entrepreneurship from relational and diversity perspectives. In M. Karatas-Ozkan, K. Nicolopoulou, & M. Ozbilgin (Eds. ), Corporate Social Responsibility and Human Resource Management (HRM) Cheltenham, GB: Edward Elgar. Nicolopoulou, K., Karatas, E., & Karatas-Ozkan, M. (Accepted/In press). Mystical writings, spirituality and relationality: implications for organisations of the 21st century. In Y. Altman, & M. Ozbilgin (Eds. ), Handbook of Research in Spirituality and Religion at Work Cheltenham, GB: Edward Elgar. Karatas-Ozkan, M. (2010). Creating JV-games: a case study of a corporate venturing process. In Cases in Strategic Management (pp. 211-224). Maidenhead, GB: McGraw-Hill Higher Education. Chell, E., Karatas-Ozkan, M., & Read, R. (2010). Exploring women academics’ involvement in science entrepreneurship: a structural view. In A. Malach-Pines, & M. F. Özbilgin (Eds. ), Handbook Of Research On High-Technology Entrepreneurs Cheltenham, GB: Edward Elgar. Karatas-Ozkan, M., & Nicolopoulou, K. (2010). Nascent Technology Entrepreneurs: A Case Study of Setting up an Academic Research-driven Technology Business in Malaysia. In A. Malach-Pines, & M. Ozbilgin (Eds. ), Handbook Of Research On High-Technology Entrepreneurs Edward Elgar Publishing. Karatas-Ozkan, M., Inal, G., & Ozbilgin, M. (2010). Turkish women entrepreneurs: Opportunities and Challenges. In S. Fielden (Ed. ), International Research Handbook on Successful Women Entrepreneurs SAGE Publications. Inal, G., & Karatas-Ozkan, M. (2009). A comparative study on career choice influences of Turkish Cypriot restauranteurs in North Cyprus and the UK. In M. F. Ozbilgin, & A. Malach-Pines (Eds. ), Career Choice In Management And Entrepreneurship Cheltenham: Edward Elgar. Bell, M. P., Ozbilgin, M. F., & Karatas-Ozkan, M. (2009). Diversity in the context of lifelong learning. In S. J. Armstrong, & C. V. Fukami (Eds. ), The Sage Handbook of Management Learning, Education and Development London, GB: SAGE. Karatas-Ozkan, M., & Inal, G. (2008). A comparative study on career choice influences of Turkish Cypriot restaurateurs in North Cyprus and Britain. In M. Ozbilgin, & A. Malach-Pines (Eds. ), Career Choices in Management and Entrepreneurship Edward Elgar. Inal, G., Ozbilgin, M., & Karatas-Ozkan, M. (2007). Understanding Turkish Cypriot entrepreneurship in Britain. In T. Kucukcan, & V. Gungor (Eds. ), Turks in Europe: Culture, Identity, Intergration (pp. 435-458). Amsterdam, NL: Turkevi Research Centre. Karatas-Ozkan, M., & Murphy, W. D. (2006). Venturing as a relational process. In O. Kyriakidou, & M. F. Ozbilgin (Eds. ), Relational Perspectives in Organization Studies: a Research Companion Cheltenham, UK: Edward Elgar. Karatas-Ozkan, M. (2005). The global workforce. In M. Ozbilgin (Ed. ), International Human Resource Management: Theory and Practice London, New York: Palgrave, Macmillan. Manville, G., Karatas-Ozkan, M., & Nicolopoulou, K. (2010). Praxis makes perfect: embedding social enterprise into the curriculum. ISBE 2010 Annual Conference, United Kingdom. Karatas-Ozkan, M., Taylor, J., & Nouman, M. (2009). The triple helix of relationships between university, government and industry in the developed and developing economies. Paper presented at MEHEM Conference: Changing Universities: Governance, Relevance, Performance, Turkey. Forson, C., Inal, G., & Karatas-Ozkan, M. (2009). Women entrepreneurs in northern Cyprus. Paper presented at Equal Opportunities International (EOI) 2009 Conference, Turkey. Taylor, J., & Karatas-Ozkan, M. (2008). Knowledge exchange relationships between higher education institutions and stakeholders in business sector in the developed and developing economies: Towards a research agenda for a comparative study. Paper presented at Governance and Management Models in Higher Education - A Global Perspective, Portugal. Inal, G., Karatas-Ozkan, M., & Ozbilgin, M. (2008). Multilayered analysis of Turkish Cypriot female solicitors' career trajectory in North London. Paper presented at Equal Opportunities International Conference, United Kingdom. Nicolopoulou, K., Lamming, R., & Karatas-Ozkan, M. (2007). Towards a convergent approach to CSR and social entrepreneurship: corporate community involvement through a corporate venturing perspective. Paper presented at 3rd International Social Entrepreneurship Research Conference (SERC), . Nicolopoulou, K., & Karatas-Ozkan, M. (2006). Towards a relational approach to social entrepreneurship. In Proceedings of EURAM 2006 Conference Oslo Brussels, Belgium: European Academy of Management. Karatas-Ozkan, M., & Murphy, W. (2005). Business venturing as a relational process. Paper presented at European Academy of Management Conference (EURAM), . Chell, E., Karatas-Ozkan, M., & Nicolopoulou, K. (2005). Towards a Greater Awareness and Understanding of Social Entrepreneurship: Developing an Educational Approach and a Research Agenda through a Policy-driven Perspective. Paper presented at British Academy of Management (BAM). Challenges of Organizations in Global Markets, . Karatas-Ozkan, M., & Murphy, W. (2004). Becoming a venture community in the UK creative industries. Paper presented at British Academy of Management Conference, . Karatas-Ozkan, M., Murphy, W. D., & Rae, D. (2003). A processual understanding of learning and managing during venturing: emerging issues. Paper presented at British Academy of Management Conference (BAM), . Karatas-Ozkan, M., & Murphy, W. (2003). An exploration of learning and managing while venturing at the level of venture teams. Paper presented at Entrepreneurship and Marketing Symposium, . Karatas-Ozkan, M., Murphy, W. D., & Rae, D. (2003). Developing university incubators towards a processual understanding. Paper presented at 26th ISBA National Small Firms Policy and Research Conference: SMEs in the Knowledge Economy, . Karatas-Ozkan, M., Herman, R., & Ozbilgin, M. (2003). Development of the human resource management profession in the UK: gender-neutral rhetoric and gender-biased reality. Paper presented at British Academy of Management Conference (BAM), . Karatas-Ozkan, M., Murphy, W. D., & Rae, D. (2003). Learning and managing during new venture creation. International Entrepreneurship and New Venture Creation Conference, . Karatas-Ozkan, M., & Ozbilgin, M. (2003). Managing diversity: Links with learning, innovating and creativity in the context of entrepreneurial teams: towards a research agenda. Paper presented at ISBA 2003: 26th Institute for Small Business Affairs National Small Firms Policy & Research Conference: SMEs in the Knowledge Economy, Conference Proceedings, . Karatas-Ozkan, M., & Broadbent, M. (2003). The strategies of a multinational bank in an emerging market: a case study of Park Bank in Turkey. Paper presented at 3rd European Academy of Management Conference (EURAM): Global, National and Local Practices in Multinational Corporations, . Karatas-Ozkan, M., & Murphy, W. (2002). Emerging approaches to organisational analysis: a social constructionalist proposal to entrepreneurial learning. 93-98. Paper presented at 17th Annual ERU Conference on Organising/Theorising: Developments in Organisation Theory and Practice, . Karatas-Ozkan, M., & Murphy, W. (2002). The dynamics of entrepreneurial learning. Paper presented at The Doctoral Track of 25th ISBA National Small Firms Policy & Research, . Chell, E., Karatas-Ozkan, M., & Read, R. (1970). Gender and technology transfer. Paper presented at 26th International Congress of Applied Psychology, . Chell, E., Cox, J., Nicolopoulou, K., & Karatas-Ozkan, M. (1970). Models of collaboration in enterprise activities: a critical evaluation. Paper presented at Entrepreneurship and Innovation Track of the British Academy of Management (BAM) 2006, . Nicolopoulou, K., & Karatas-Ozkan, M. (1970). Nascent technology entrepreneurs: setting a business in Malaysia. Paper presented at 26th International Congress of Applied Psychology, . Nicolopoulou, K., Chell, E., & Karatas-Ozkan, M. (1970). Organisational and strategic aspects of social entrepreneurship: the case of Damaris, a faith-based social enterprise in the UK. Paper presented at 7th International Conference on the Dynamics of Strategy, . Karatas-Ozkan, M., Nicolopoulou, K., & Kerrigan, F. (1970). The role of the arts in the social enterprise: one style social marketing for all?. Paper presented at British Academy of Management (BAM) 2006, . Gokdogan, A., Karatas-Ozkan, M., & Nicolopoulou, K. (1970). Women in Turkish family businesses: drivers, contributions and challenges. Paper presented at Entrepreneurship and Innovation Track of the British Academy of Management (BAM) 2006, . Karatas-Ozkan, M. (2006). An analysis of University of Southampton's SET employee profile and pertinent policies and programmes. Newcastle upon Tyne, GB: Small Enterprise Research Unit (SERU), University of Newcastle. Chell, E., Karatas-Ozkan, M., Read, R., Wilson, L., & Institute of Physics (2006). Women's involvement in technology transfer activities from physics and engineering departments within the UK universities. Institute of Physics. Karatas-Ozkan, M. (2009). Gender equality and diversity discourses: The case of women in the science, engineering and technology (SET) employment in Europe. (Discussion Papers in Management). Southampton, UK: University of Southampton. Karatas-Ozkan, M., & Broadbent, M. (2002). The strategies of a foreign bank in an emerging market: a case study of Park Bank in Turkey. (University of Hertfordshire Working Papers in Economics; No. 26). University of Hertfordshire.